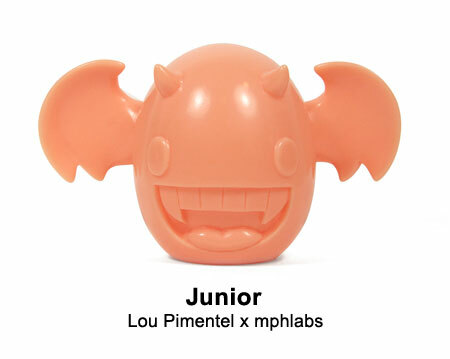 We’ve hinted at it here and on a few other blogs but this is the official debut of a new sofubi (Japanese vinyl) figure by Lou Pimentel and mphlabs. 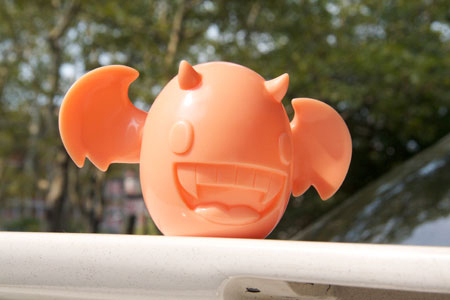 The figure, based on Lou’s Cranston Fellows Jr. character, is seen here as an unpainted prototype with a 4″ wingspan. Release and pricing information will be announced later, so keep an ear to the ground and watch this space. 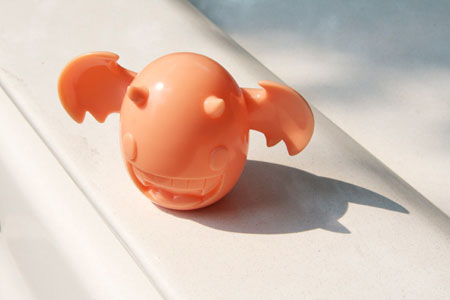 Before he was Cranston Fellows Jr., this little devil bat was just known as Junior. 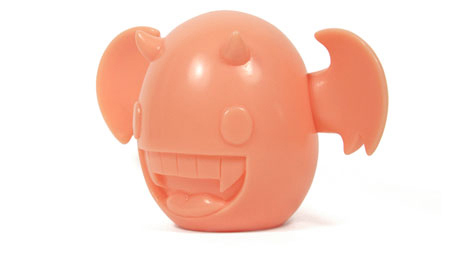 Small, egg shaped and lovable, he was born in the underworld and was a prankster from day one. Junior likes to dance, paint, and play practical jokes. His favorite pastime is hiding in small places and jumping out to scare his mom. Yes, he’s living his toddler years to their fullest. He does not make his bed and loves making a mess. He prefers peanut M&M’s and is always looking for new adventures. Speaking of adventure, Junior would love to come home with you to start one together. You bring cookies and a map and he’ll bring the ruckus.